White rice of round grain and excellent quality that, on cooking it, it increases its size up to 60 % in length and thickness. It absorbs 3 parts of broth for one of rice. One recommends this type of rice so much for paellas as sweet plates, as well as stews, hotpots etc, the approximate cooking time is 20 minutes. Juan Haro founded his company along with his children in 1990. 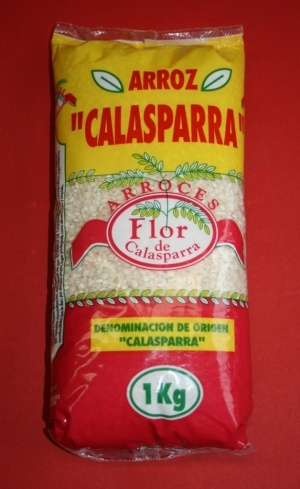 Proprietors of excellent rice ground, they possess a farm of approximately 50 hectares in the place, "THE PORT", bordering on the high fertile plain of the River Segura, which with its cold and crystalline waters, does that the Rice of Calasparra is an unique product in quality and prestige. The rice mill, placed inside the proper farm and acquired by the company is surrounded by an unique and natural environment where the rice is worked and packed at ideal temperature in expectation of its packaging for the shipment.